I founded Think Different Designs with the goal of helping people express themselves creatively – through design and words. I designed my first site back in December 1996 (before most people were using the internet), since then I’ve worked on numerous personal and client projects in my spare time. I’ve been learning all about design and how it applies to the web and I continue to hone my craft. You should know that while creating site designs I will work closely with you to understand your true needs for your site. I possess strong communication skills and I believe the ability to conceptualize needs into practical and usable internet ideas are as important as my technical skills. I specialize in delivering effective, quality, and beautifully designed websites that meet your needs. I am ready to work with you on your project! 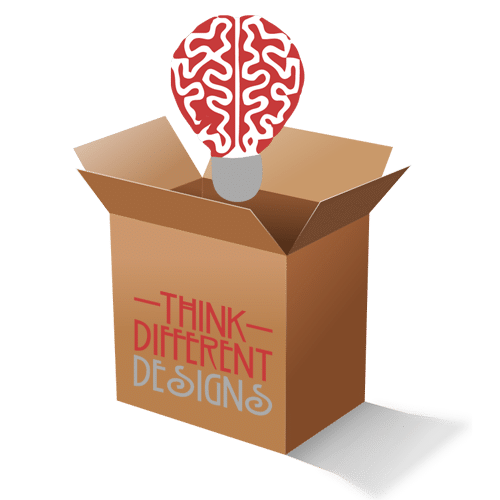 Think Different Design’s approach is built around helping clients identify their needs and working with them to develop effective web strategies that can grow along with their companies or organizations. Every project that I work on begins with a comprehensive discovery phase where I sit down with you to find out about your organization; what you like/dislike about your current website if you have one and what ideas you would like to see incorporated into the new design. I understand that website development can be especially complex. Design, information, and technology need to be seamlessly integrated into an interface that provides a great user experience for both the customer-facing side as well as the back-end side of the site if you will be managing content on your own also. I believe that your website must be easy to use and manage. It must be built on a solid architecture that conveys content in a clear and concise manner. That’s why I build all my sites using the WordPress, open-source content management system that provides endless opportunities for growth and change. I understand that your website must have an engaging interface that is consistent with your personality and promise and one that works on all screen sizes including mobile browsers. I will work with you to find and select a good basic theme template to start the process. In the end, I understand that the technology solution must be flexible, adaptable, and realistic. My collaborative process means that I work with you to develop a joint solution through agile iteration and development cycles. We will talk on a weekly basis to let you know what’s been done and what’s yet to do. We will keep in mind your go-live goal date and make sure we’ve discussed any variances. Sometimes you may want to make additional adjustments to the initial scope of work. Just remember, additional scope increases your timelines and costs. We will also discuss your hosting needs to provide the best performance for your new site. I look forward to sitting down with you and discussing your design needs. I also like to pass along words of wisdom when I read articles that I believe can help my client think differently. Check out these articles that I’ve posted Outside the Box. Larry is a true professional. He has a meticulous work ethic and a great eye for detail. When Larry first began our website, I was expecting it to take over a month, but he had most of it done in weeks. Highly recommend! "Larry recently designed my artist website and I am thrilled with the design and I have received many positive comments from people who have visited it. 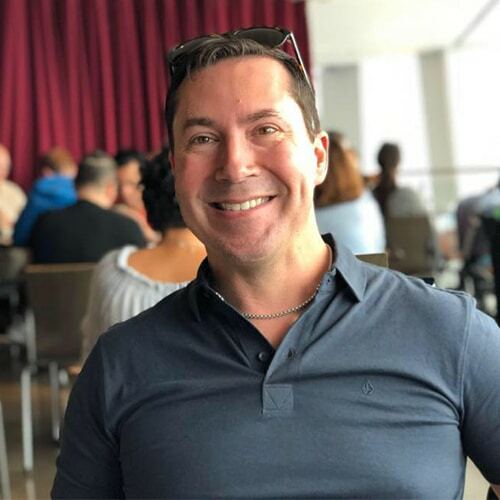 Larry was very helpful from the very beginning of the design process asking good questions and he was VERY GOOD at explaining all the details in the potential and actual site. He led me through thinking of my whole business presentation not just the website and continues to be a welcome presence through hosting. I could not be happier about the whole experience of working and continuing to work with Larry." Larry is wonderful to work with. He has great suggestions and will provide options for you to select from. Very timely and overall great experience! Larry from Think different is awesome to work with. He has creative ideas and is on top of his game. When ever we need changes or additions he jumps right on it and takes care of us the same day!!! My wife first met Larry when helped out a non-profit she worked for with their website. Based on that experience, she hired him to create a beautiful website for her art business and I hired Larry for a very functional website for my consulting business. He has been great to work with and each of us are very pleased with the results. He can also help with the ancillary pieces of setting up a full web presence. Thank you Larry! Highly recommend Larry! His creative ideas and attention to detail customizing web design and marketing for your business is amazing! Larry has built and managed several websites for me. He is prompt, reliable, kind, and he does a great job. I'm thankful to have him on my team as I grow my businesses and brands online. Larry is amazing! His attention to detail and prompt responses always helps ease the anxiousness that comes with website design and development. He adapts to any and all skill levels. The ability to keep up with industry trends and apply them to the current need, ongoing maintenance and direction of the organization are exceptional.